Irrigation is the perhaps the one facet of commercial and residential real estate that has the greatest impact of providing a welcome appearance to your property. 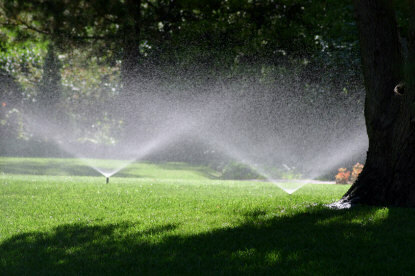 What many property managers and homeowners alike don't realize is that a properly irrigated lawn is not only cheaper to care for but also increases your sites curb appeal, provides a welcome ambience and lifts morale. That your lawn is the only one that is green through the oppressively hot summer months is a clear indicator to your visitors that you care about details.